Tickets For The facades+ PERFORMANCE Conference Are Going Fast! Sign Up Today! Not many practitioners today can say they’ve collaborated with Henry Van Brunt, the 19th century architect famous for designing Harvard’s Memorial Hall, or Boston architect Guy Lowell, who designed the original 1903 master plan for the Museum of Fine Arts in Boston. But Ann Beha, who once said she specializes in “finding a contemporary voice within a historic center,” is a bit of a time-traveler. Her Boston-based firm is acclaimed for creating elegant links between the past and present. A keynote speaker at Facades + PERFORMANCE, an upcoming conference about high-performance building envelopes, Beha notes that some of the older buildings she works with already have highly efficient envelopes thanks to excellent construction and high quality materials. Her lecture, “Interventions: History and Innovation,” will review three case studies at varying scales, telling the stories of how she restored landmarked buildings while simultaneously developing new expansion plans that were rooted in the original architecture but also clear expressions of their own time. Focusing on campus architecture in her talk, Beha notes that many universities are growing interested how improvements to their existing buildings can reflect a commitment to sustainability. 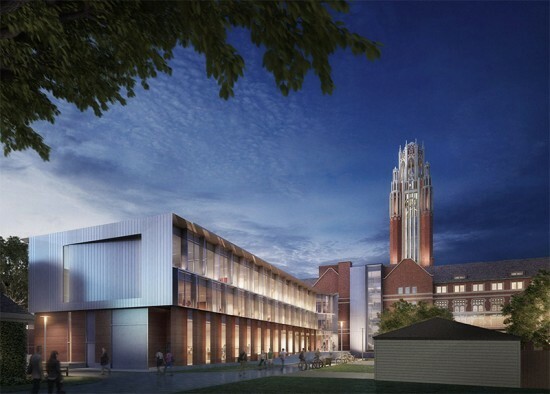 Creating a symbiotic relationship between the architecture and the engineering is key, said Beha—a collaboration made closer and more precise thanks to modeling software. 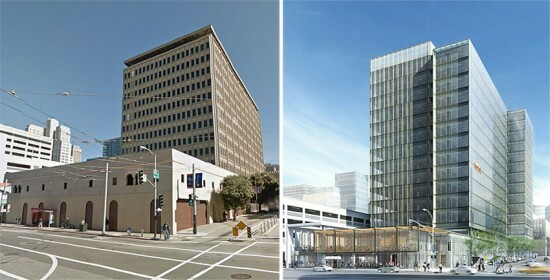 But more than anything Beha emphasizes “fit to function,” or renovation without excessive demolition. “We ask to what extent we can use the building in a natural way,” she said. Some estimates indicate up to 70 percent of existing building stock is in need of major renovation. Get hip to the latest trends and techniques in facade retrofit at the Facades+PERFORMANCE Conference taking place in New York City next week. Come explore the emerging technology and recent applications in the daylong workshop, Facade Retrofit: The Challenge and Opportunity Presented by an Aging Building Stock, moderated by Mic Patterson, Director of Strategic Development at Enclos. What better place to explore this topic than Manhattan, surrounded by aging buildings badly in need of facade renovation both to improve performance and appearance. But these buildings and their facades present unique challenges. This full-day workshop will delve deeply into the various issues comprising the renovation of large commercial facades in the urban environment, particularly the retrofit of old curtainwall facades, and also the use of contemporary curtainwall technology to renovate old masonry buildings. A team of local experts will first establish context by defining the scope of the problem, then follow with a discussion of design strategies, and means and methods for implementing facade retrofit projects. 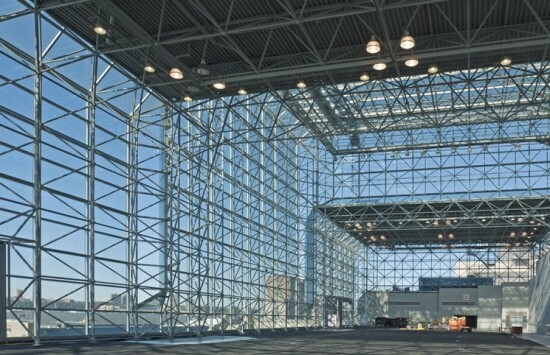 A series of exemplary case studies will be presented, among them will be the recently completed recladding of the Javits Convention Center. 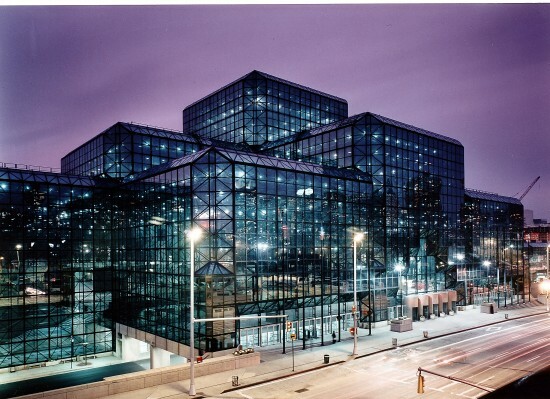 The workshop program will conclude with a mid afternoon tour of the Jacob Javits Convention Center. Speakers from: CUNY, Davis Brody Bond Architects, Gensler, Halsall Associates, Mitchell/Giurgola Architects, RA Heintges and Associates, SHoP Architects, Structuretone. Register here. If you’ve seen the giant etched-glass dragon snaking across the ceiling at Shun Lee Palace in New York, you’ve glimpsed of the handiwork of Philip Vourvoulis, an expert in architectural glass known for his work on projects ranging from museums to residences to restaurants. 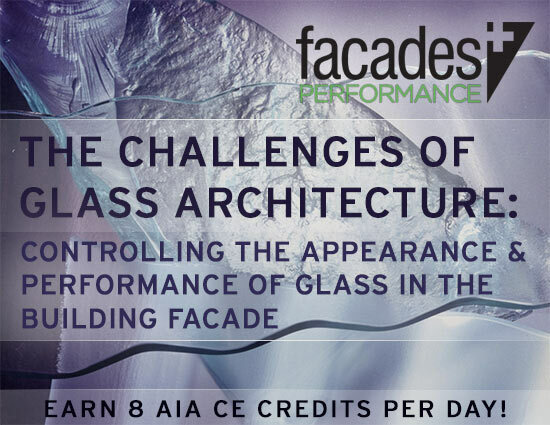 On April 12, Vourvoulis will lead the workshop "The Challenges of Glass Architecture: Controlling the Appearance and Performance of Glass in the Building Facade" part of Facades + PERFORMANCE, an upcoming conference on high-performance building enclosures sponsored by The Architect’s Newspaper. At the workshop, Vourvoulis will be joined by Christoph Timm of Skidmore, Owings & Merrill, Bruce Milley of Guardian Industries, and Nick Bagatelos of BISEM. In the form of an interactive panel discussion, the group will explore the latest in architectural glass materials and processes, including new printing processes, electrochromic products, and other high-performance glazings. Using case studies, the workshop will highlight strategies to optimize performance while maintaining aesthetic control. This workshop offers 4 LU/HSW AIA CE credits. Vourvoulis, who has his own California-based consulting firm and also serves as acting creative director for the LA fabricator Triview Industries, trained as a ceramicist but soon fell in love with glass thanks to an encounter with the Art Deco glasswork in the Shangri-La Hotel in Santa Monica. "I'm fascinated by the plasticity of the material," Vourvouli told the LA Times. "You can take a blank sheet or a melted lump and out of it conjure magic." Collaborating with numerous architects over the last decades, including Frank Gehry, Stephen Ehrlich, and landscape architect Maggie Jencks, Vourvoulis’ work has evolved along with the technological innovations in glass. New this year, "dialog workshops" offer a daylong series of in-depth conversations with leading architects, fabricators, developers and engineers following presentations their current projects as real-world case studies. With a limited number of spaces in each session, the intimate environment aims to encourage conversation and creative problem-solving, and participants create a customized schedule of half-day workshops to suit their professional goals. To register, click here. 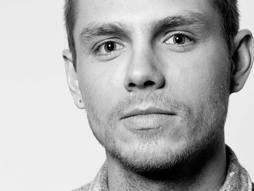 Did you miss 3-D printing guru Skylar Tibbits at this year’s TED conference? Never fear, there’s an opportunity to hear Tibbits in New York City on April 12. 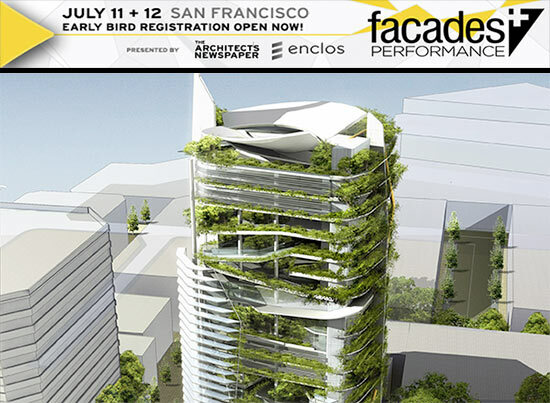 And not just hear but participate in a hands-on workshop that Tibbits will lead as part of Facades + PERFORMANCE, a two-day conference on high-performance building enclosures sponsored by The Architect’s Newspaper. Earlier this week at TED, Tibbits gave 3-D printing another dimension, quite literally, when he presented the possibility of "4-D printing," or programming materials to self-reassemble into new structures over time. Tibbits unveiled a 4-D printer concept developed with MIT that he argues could have far-reaching implications for not just manufacturing but also for architecture. Will architects one day be able to design structures that build and mend themselves? Here's the idea, as Tibbits told TED: "If we combine the processes that natural systems offer intrinsically—genetic instructions, energy production, error correction—with those artificial or synthetic—programmability for design and scaffold, structure, mechanisms—we can potentially have extremely large-scale quasi-biological and quasi-synthetic architectural organisms." Trained as an architect and a computer scientist, Tibbits directs MIT's Self-Assembly Lab and teaches in the school's architecture department. He got his start working with the likes of Zaha Hadid and Asymptote Architecture, later founding SJET LLC, a multidisciplinary research based practice. Along the way, Tibbits was named a "Revolutionary Mind" by SEED Magazine in 2008, and in 2011 he was awarded a 2011 TED Fellowship, becoming TED Senior Fellow in 2012. At his April 12 workshop, Tibbits will introduce Python for Rhino, a program that has been a foundation of his work, and cover covered topics ranging from Running Scripts, Syntax, Data Types, and Variables to Flow Control, Tuples/Lists/Dictionaries, Points/Vectors, Functions, Paneling and Recursion. The training portion of the workshop will concentrate on IronPython within Rhino. To register for the workshop and for the April 11-12 conference, where experts in the industry will analyze, discuss, and dispute the development, implementation, and maintenance of facades, click here. “I think contemporary work environments are about communication. 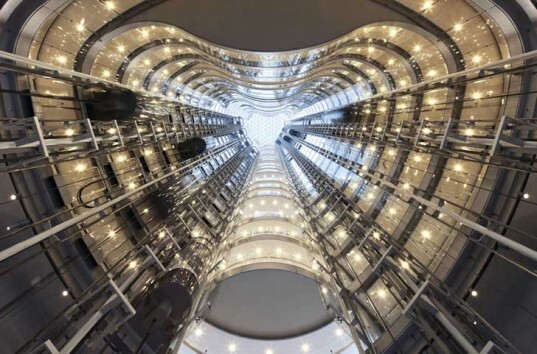 We tried to make interior space a community, “ said architect Christoph Ingenhoven of 1 Bligh Street, a sustainable office tower completed a little over a year ago in Sydney. Ingenhoven translated his idea of community into a building defined by a spectacular 28-story interior atrium capped by a skylight. With interior walls and elevators of glass, every view is a living, bustling cross-section. The atrium acts as natural cooling system while other green features include vacuum tube solar collectors for power and an onsite wastewater recycling system, adding up to a structure that is off the charts for its energy efficiency and low environmental impact. 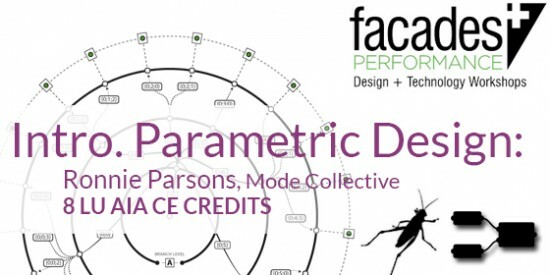 Ingenhoven, recognized for his groundbreaking integration of progressive sustainability and modernist design, will deliver the keynote lecture on April 11 at Facades + PERFORMANCE, an upcoming conference on high-performance building enclosures sponsored by The Architect’s Newspaper. At the two-day event including a symposium and workshops, experts in the industry will analyze, discuss, and dispute the development, implementation, and maintenance of facades. Registration information available here. Ingenhoven opened his own office in Düsseldorf in 1985, and his most high-profile project to date may be the Stuttgart train station, a winning competition entry over fifteen years in the making that moves the station underground. Now under construction, the station will be carbon free and net-zero energy, already garnering the project a Holcim Gold Award for sustainable design. To Ingenhoven, sustainability is part and parcel of modernism. “Modernism is not a style but, rather, an attitude we commit ourselves to because it makes progressive insight, emancipation, authenticity and many other things possible,“ he said in an interview with the German magazine Der Spiegel. “It allows us to feel like we are part of this world in the here and now—and not like people who are permanently nostalgic.” Registration for Facades + PERFORMANCE is now open! Click here to see a line-up of speakers and workshops.